This emotional image of the bride and groom was taken during a wedding at Atlantis Pavilions in downtown Toronto. 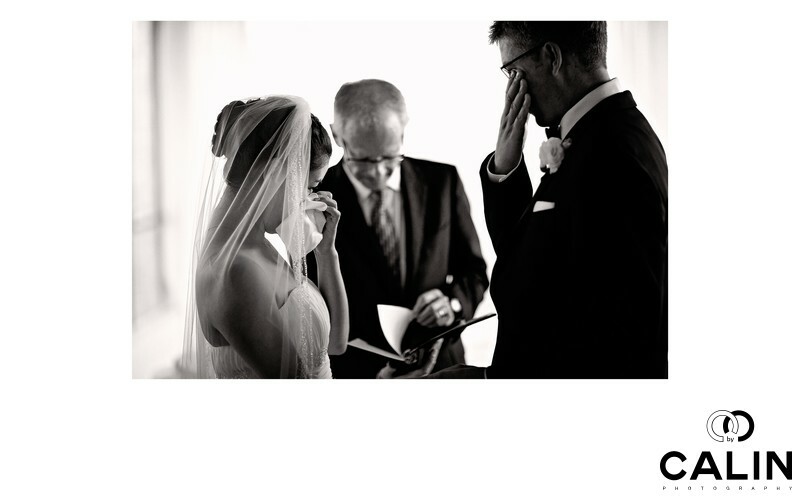 It shows the bride and groom shedding a tear during the wedding ceremony. This beautiful moment occurred during the time the bride and groom were reading their wows. They were overcome with emotion and started tearing up when I took this emotional shot. I deliberately selected a dramatic black and white processing as I believe the colours will distract the viewer's attention and will not add value to the photograph.